Dr. Nadia Ansary received her BA in Psychology (and Biology) from Rutgers University and her PhD in Developmental Psychology from Teachers College, Columbia University. Her background is in Developmental Psychopathology with a focus on risk and resilience among adolescent populations. Dr. Ansary joined the faculty in the Department of Psychology at Rider University in the fall of 2006. Dr. Ansary has several research interests exploring: 1) bullying and victimization, particularly with Muslim targets, 2) Muslim youth and young adult mental wellbeing and community-based outreach, and 3) the association between problem behaviors and achievement particularly focusing on affluent youth. Her research also includes a focus on cross-cultural issues including acculturative stress and family conflict. In 2008, she was appointed by Governor Corzine to the New Jersey Commission on Bullying in Schools. The Commission’s duties were completed in December of 2009 when its report was rendered. The report presented recommendations for legal and school-based remedies for bullying in schools and provided the foundation for New Jersey’s new anti-bullying law—considered by many to be the strongest anti-bullying law in the nation. N. S. Ansary, “Muslim youth and/or Arab-American youth as targets of harassment intimidation and bullying: Suggestions for effective prevention and intervention in schools,” in P.C. Rodriguez Rust (ed. ), Effective strategies for complying with New Jersey laws related to school bullying: A resource guide for schools (June 2011), 45–46. Retrieved from www.acesforbullyingprevention.org. 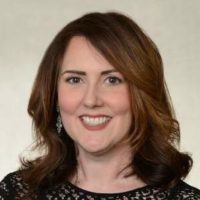 N. S. Ansary, M. Elias, M. Greene, and S. Green, “Guidance for schools selecting antibullying approaches: Translating evidence-based strategies to contemporary implementation realities,” Educational Researcher 44, no.1 (2015): 27–36, doi:10.3102/0013189X14567534. 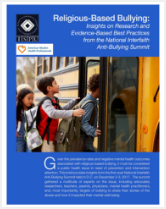 N. S. Ansary, M. Elias, M. Greene, and S. Green, “Best practices to address (or reduce) bullying in schools,” Phi Delta Kappan 97 (October 2015): 30–35, doi:10.1177/0031721715610088. N. S. Ansary and R. Salloum, “Community-based prevention and intervention,” in S. Ahmed and M. Amer (eds. ), Counseling Muslims: Handbook of mental health issues and interventions (Routledge, 2012), 161–80. N. S. Ansary and R. Salloum, “Community based prevention and intervention: Addressing the mental health and social service needs of Arab-Americans,” in M. Amer and G. Awad (eds. ), Handbook of Arab American Psychology (Routledge, 2016), 344–58. N. S. Ansary, E. Scorpio, and *D. Catanzariti, “Parent- adolescent ethnic identity discrepancies and adolescent psychosocial maladjustment: A study of gender differences,” Child and Adolescent Social Work Journal 30 (2013): 275–91, doi: 10.1007/s10560-012-0292-y. K. Haboush and N. S. Ansary, “Muslim couples and families,” in S. Kelly (ed. ), Issues in Couple and Family Psychology: Across Socioeconomics, Ethnicities, and Sexualities (Santa Barbara, CA: Praeger, 2017), 259–88.